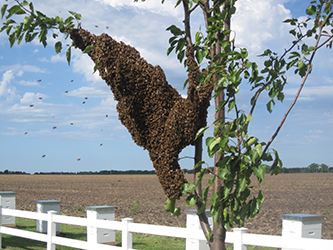 Do you have unwelcome bee taking over your property? Darryl has experience getting bees out of a tree and can also remove them from the side of a building and repair the damage that they have caused. Darryl can safely and efficiently remove those pesky pollinators no matter where they are located! Call him for your bee removal needs.